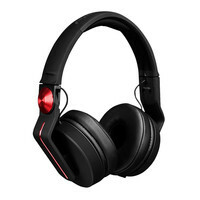 The Pioneer HDJ-700 Professional DJ Headphones deliver exceptional sound quality across the entire frequency range with emphasis on delivering clarity in the low-end which is made possible by their 40mm drivers. With added sound isolation external noise and distractions will not be an issue. Pioneer has ensured the HDJ-700s can withstand considerable wear and tear so theyre ideal for the club environment or at home.